Stretching almost 4000 miles from its mouth near Shanghai all the way west to its source in the Tibetan Plateau, the Yangtze River cuts China in two horizontally as it winds its way through 18 of its provinces. It has major cultural significance, where the earliest settlers used its waters to cultivate rice. Large settlements grew along the central plains of the river into the populous provinces we recognise today. The Yangtze River was particularly important to the development of China’s economy during the Han Dynasty, where irrigation systems were established. Canals were created from the Yangtze to other cities, including Beijing and Suzhou, so that goods could be easily transported across the growing Chinese mainland. 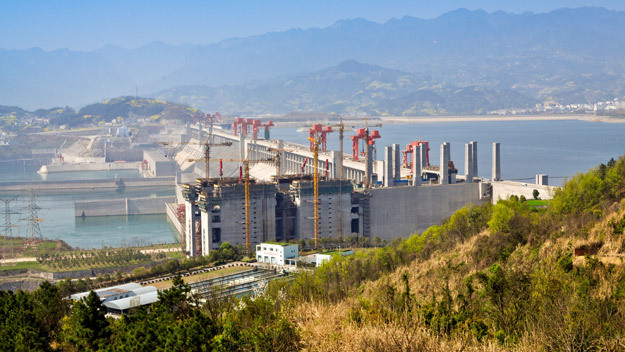 Today, the river is a major commercial and tourist route, where the Three Gorges Dam – the world’s largest – supplies China with 15% of its hydroelectric power and protects the Yangtze basin from flooding. As you cruise on the Yangtze River, you’ll be able to admire some of China’s most breathtaking scenery. 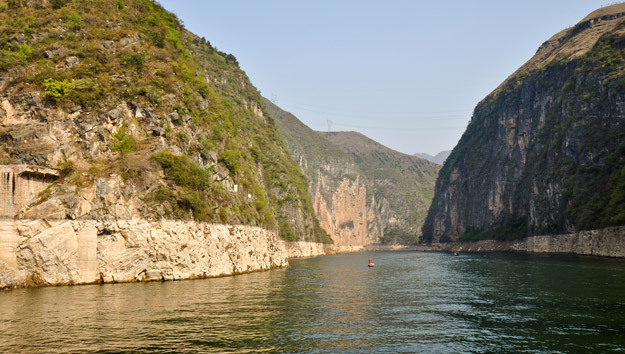 The Three Gorges is an area you’ll cruise through on all of our itineraries. 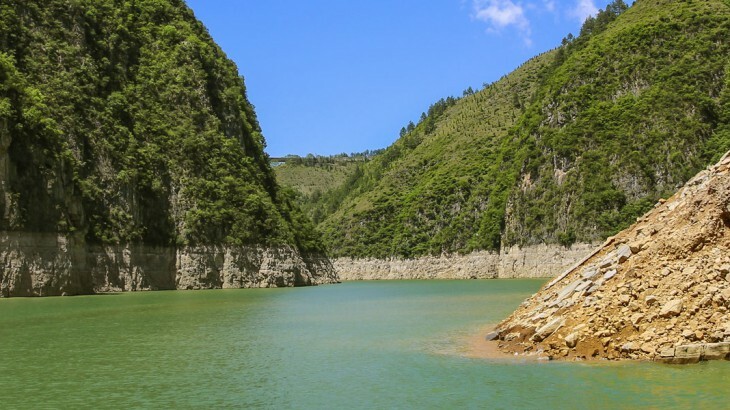 Consisting of the Qutang Gorge, Wu Gorge and Xiling Gorge, you’ll travel through crystal-clear waters with steep cliffs rising from the water’s edge. As you cruise these winding waterways, you’ll spot lush forest and mountainous peaks shrouded in a stunning mist. In Qutang Gorge you’ll be able to spot hanging coffins, which are an ancient funeral custom of several ethnic groups in China. You can also take part in excursions to see the Shibaozhai Pagoda, Shennong Stream and, last but not least, the impressive Three Gorges Dam. Our tours are jam-packed with all of China’s major highlights: we don’t want you to miss a thing! That’s why many of our customers love to embark on a Yangtze River Cruise to slow down the pace of their holiday and get some time to relax. Your cabin will include a private bathroom and a balcony to see those all-important views. Your cruise is on a food inclusive basis, where there is a choice of Chinese or western buffet. Entertainment includes grand shows, tai chi lessons and a happy hour, plus an elegant Captain’s Dinner on your final night. There are also chances to pamper yourself with the on board beauty rooms and fitness areas. You can also choose to upgrade your Yangtze experience, with superior cabins and suites available. Now that you’ve decided to embark on a Yangtze River Cruise (excellent decision! ), we at Wendy Wu Tours offer a combination of different Yangtze cruises to choose from. These are mostly combined with escorted touring on either end so that you can see all the major highlights that China has to offer beyond its central lifeline of water. Savour the natural grandeur of the Three Gorges on a relaxing Yangtze River Cruise – just one part of a wonderful itinerary that also includes China’s enthralling cities of Shanghai, Xian, Beijing, and of course the unforgettable Giant Pandas at Chengdu’s Panda Conservation Centre. 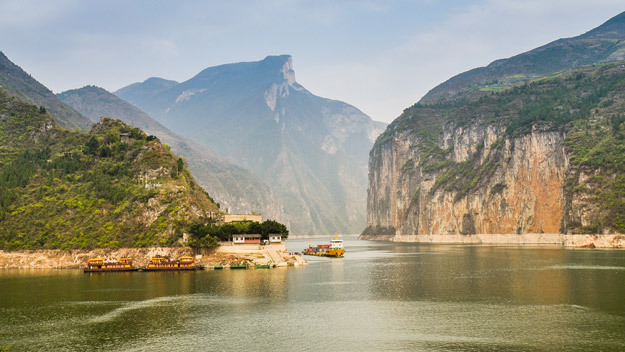 Set sail on our essential Yangtze cruise, spending 4 nights on its magnificent waters. This ultimate cruise is combined with the bright lights of Shanghai and the gorgeous pandas of Chengdu. A luxurious voyage of discovery, enjoy four nights aboard the 5* luxury Sanctuary Yangzi Explorer cruise ship on the Yangtze, with the dynamic city of Shanghai and the beauty of the Li River Valley added on to your tour. Want to tour China your way and spend your time on the Yangtze how you want? Our dedicated Asia Inspirations Tailormade Travel team can create an itinerary of your choice! Cruise on the Yangtze with Wendy Wu Tours, the UK’s leading China Experts. Our award winning escorted, fully inclusive tours visit all the major sights of China for an unforgettable holiday. China cruise, top things to see. permalink.